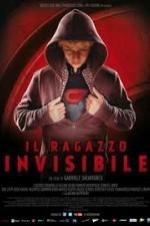 Buy or Rent The Invisible Boy (2014) Movie DVD & BluRay Online! Movie Plot: Michele is thirteen year old, shy, unpopular at school, and in love with Stella. After wearing a costume for a Halloween party, he finds out that he’s invisible.